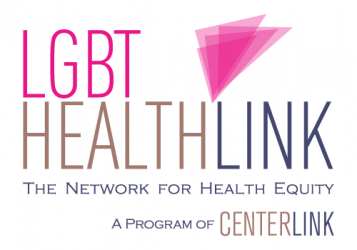 Because You Need More #LGBTWellness News In Your Life! ABC News reported on a new study finding that half of teenage transgender boys have attempted suicide, the highest of any group based on gender identity; the next highest groups were gender nonbinary teens (42%) and transgender girls (30%). The report was made in time for Suicide Prevention Day, to which some LGBT activists drew attention with a bold take on a queer icon. A new study found that .86% of children aged 9-10 identified as gay or bisexual, with .4% identifying as transgender. The parents of the same children had much higher estimates for how many believed their child might be LGBT. In a press release, researchers said that the number of children who self-identify this way justifies inclusion of LGBT identities in more studies involving youth. The Food and Drug Administration (or FDA) declared e-cigarette use among minors an “epidemic,” pointing to a massive 75% jump of e-cigarette use by high school students just from 2017 to 2018. They announced that they would be targeting 1,300 retailers and 5 manufacturers as they investigate how teens are so easily accessing the age-restricted product. LGBT youth use e-cigs (and other tobacco products) at even higher rates than do other youth. What’s It Like for Trans Teens? Teen Vogue reported on a new campaign from MAP and GLSEN that seeks to educate the public on what high school is like for transgender teens. The effort includes a video ad and highlights that 65% of transgender students are bullied for their identities and 70% have avoided using the bathroom at school because they feel unsafe or uncomfortable. A national study found that about one in four (25.2%) young gay and bisexual men had never been tested for HIV, and that most gay and bisexual men did not fully meet the CDC’s testing recommendations. Only 4.1% were using PrEP, the HIV prevention treatment, despite more than two in three (68.4%) of those who knew about PrEP having a positive opinion on it. Self published a guide to finding LGBT-competent healthcare, which the author says can require research to start (using some search tools they identify), as well as asking questions about their experience and seeing how they act when they make a mistake or do not have an answer. There are also some tips for what happens when something goes wrong (for which our Healthcare Bill of Rights might also come in handy). A new study found that young transgender women in Chicago and Boston faced intimate partner violence (IPV) at a rate of 42%. This included some distinct forms of violence that had to do with their gender identities as transgender women. The results suggest that IPV interventions not only need to be transgender-inclusive, but also contain unique components for this population. Reuters reported on a new study which found that few programs serving LGBT youth include help on addressing family-based discrimination, in comparison to relatively common topics such as school-based bullying. The failure to address family issues is partially because the topic has been seldom evaluated in studies, with more research on best practices therefore needed. Researchers published a guide to transgender clinical care in JAMA Internal Medicine, and recommended that medical professionals take basic steps like using the patient’s identified name and pronouns and obtaining a medical history inclusive of gender identity-related care. They also address the need for more uniform and inclusive methods of data collection in electronic medical records, and recommend that health facilities take action to address this shortcoming. UNAIDS published a report praising the Supreme Court of India for annulling part of its penal code that criminalized relations between LGBT people. UNAIDS notes that such criminalization hinders access to HIV prevention and treatment services, and also increases the prejudice and violence LGBT people face. The UN has found that addressing the HIV crisis requires a human rights response. The CDC launched a new campaign on the importance of getting screened for gynecological cancers, including videos, radio spots, and print advertisements available for use. It’s an important message for those in the LGBT community who are susceptible to these cancers, as research has shown that they are less likely to get screened, especially when uncomfortable with their doctor.